Architecture has always been a magnificent and much debated platform to express the spirit of the times, world views, everyday life, and aesthetics. It is a daring materialisation of private and public visions, of applied art and the avant-garde alike. 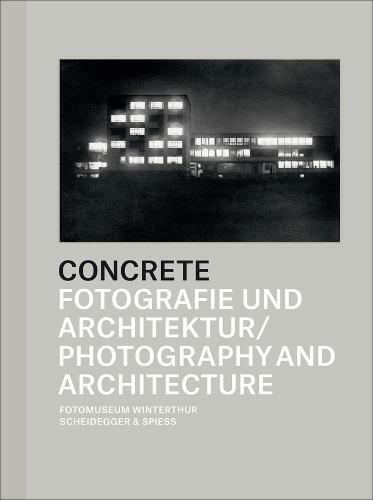 Concrete: Photography and Architecture presents images of iconic urban architectures and townscapes that reflect the close and complex union between photography and architecture, between architect and photographer. Starting from the 19th century, when photography was invented, the book picks up positions, juxtapositions, and thematic fields that bring together the concrete, fundamental, and the historic. Besides everyday architecture and glamorous buildings, it looks also at structural horizontal and vertical axes; houses and homes; utopias, plans and reality; the captivating transience of architecture against the test of time; and destruction both natural and intentional. Text in English & German.